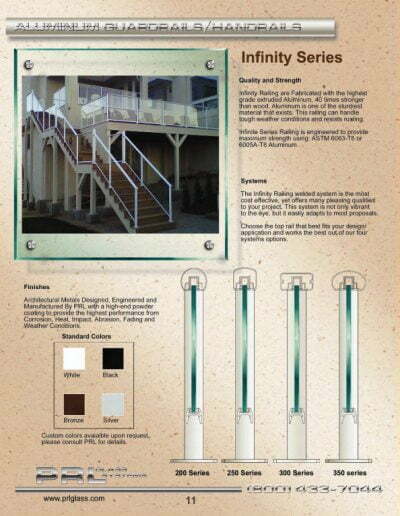 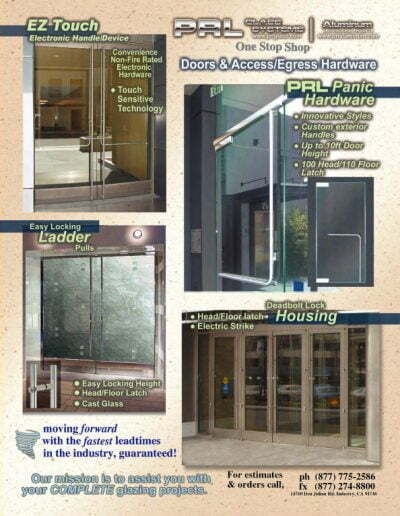 All Glass Railing Systems by PRL Glass Systems, Inc.
PRL offers complete all glass railing, handrails and guard railing systems. 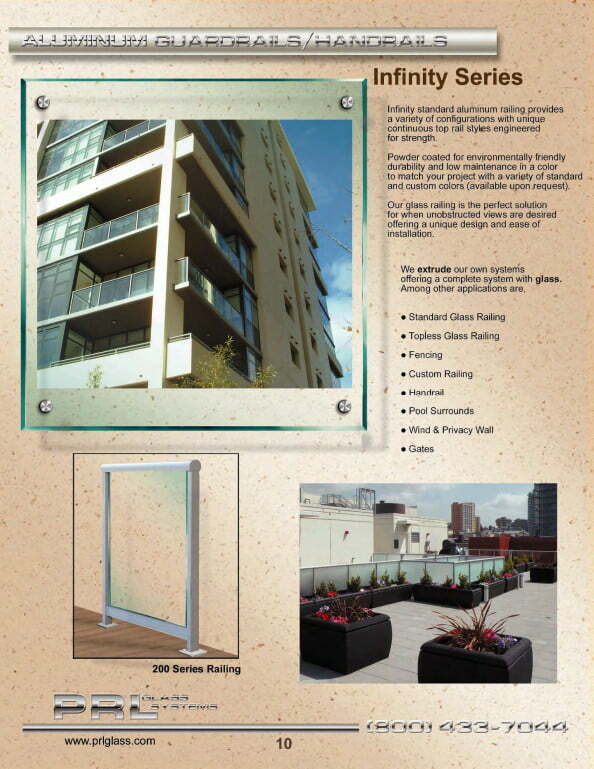 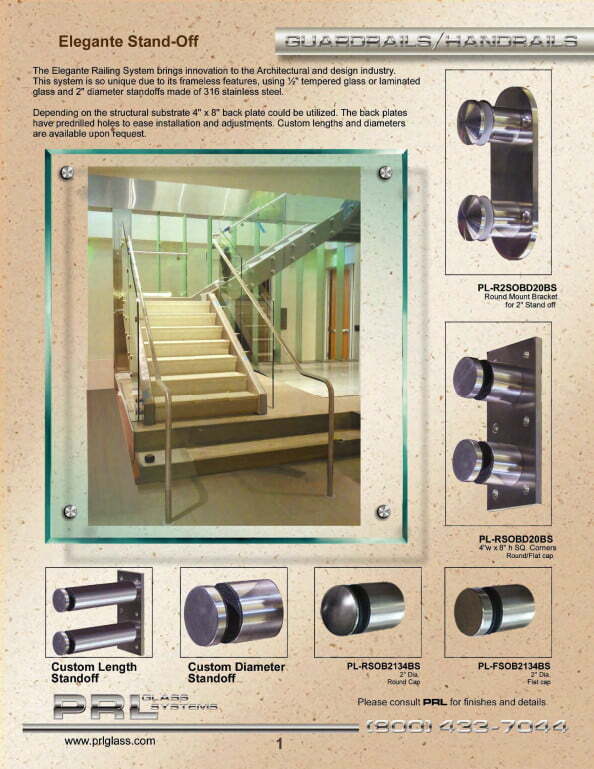 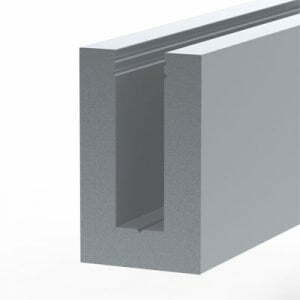 We manufacture and extrude most of the railing components in house. 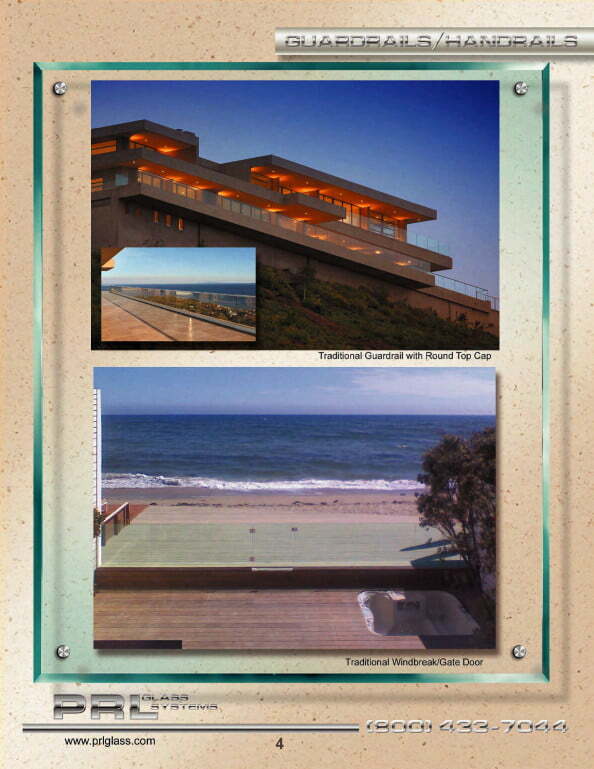 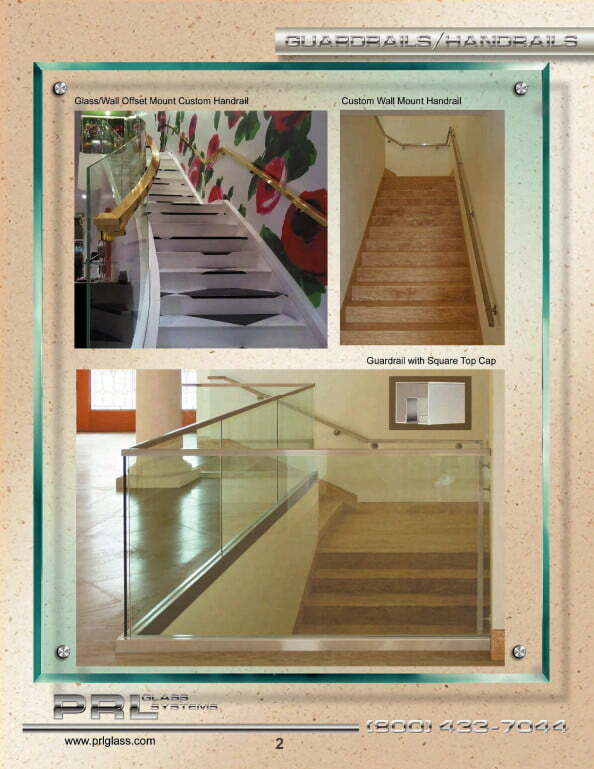 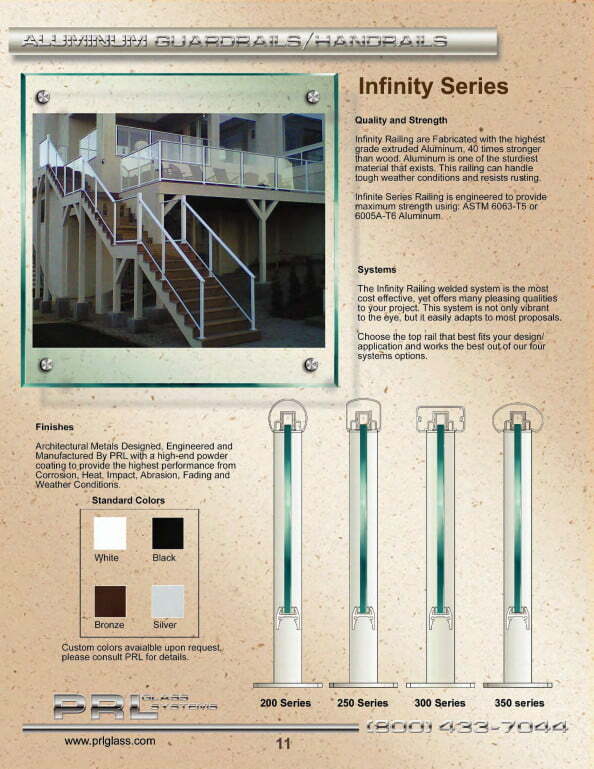 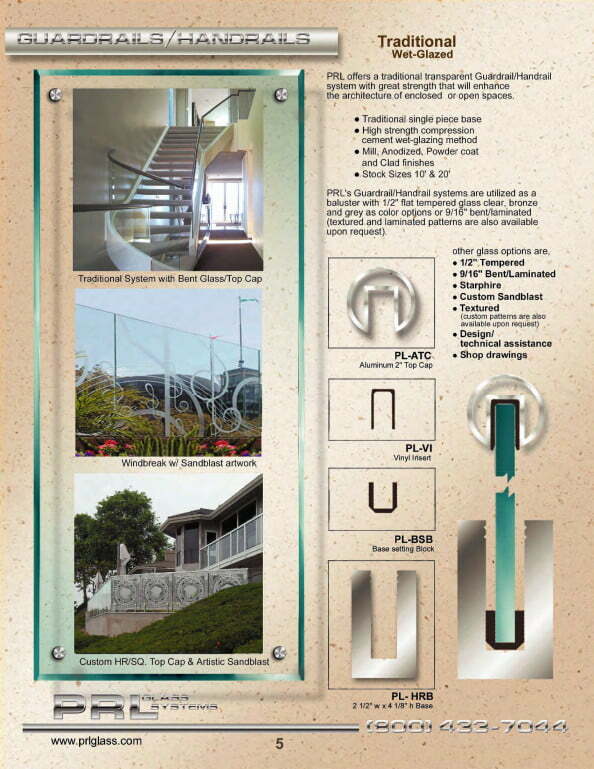 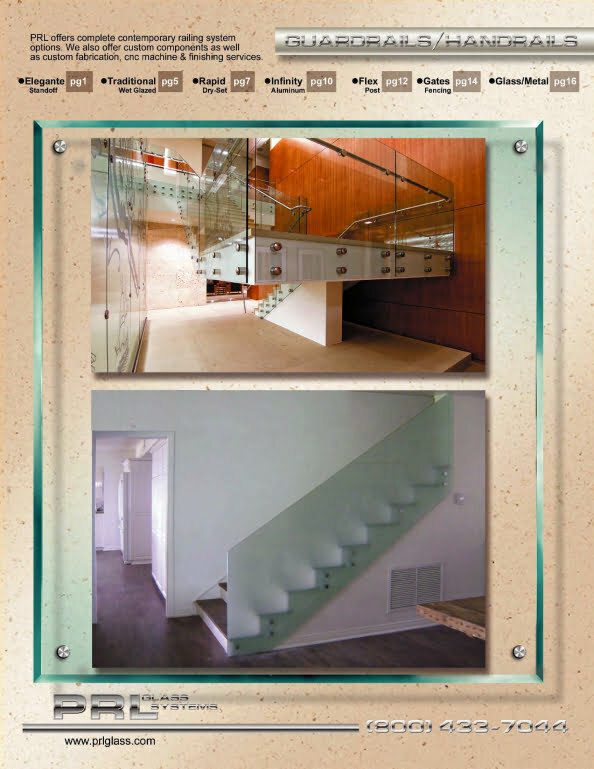 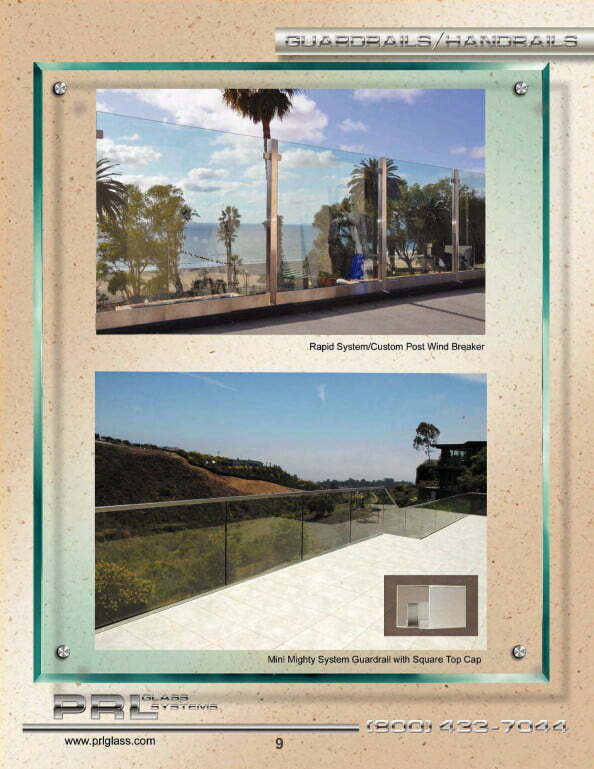 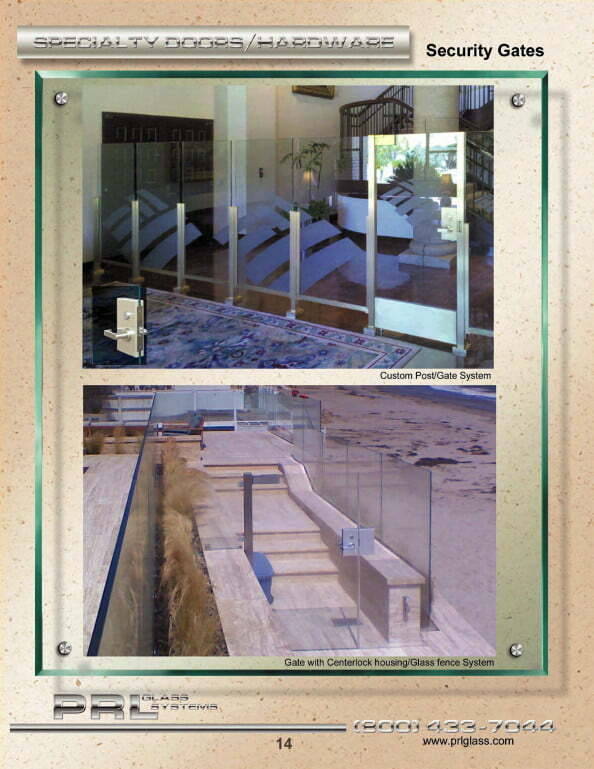 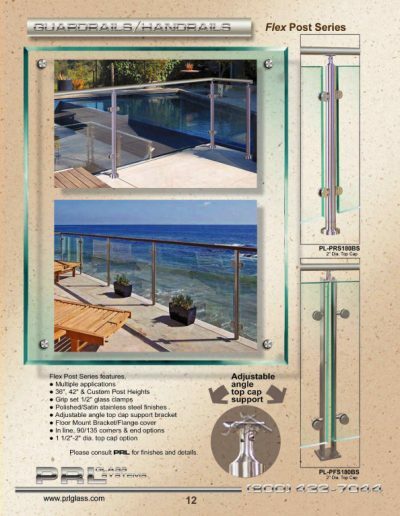 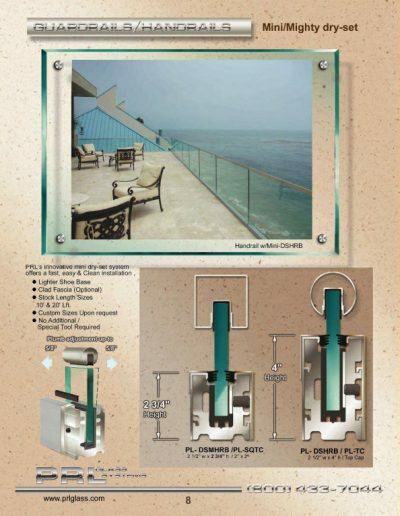 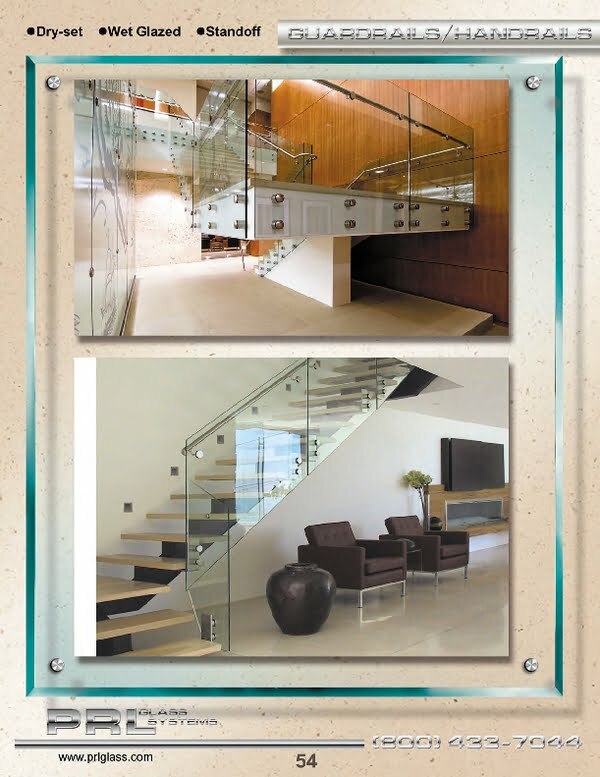 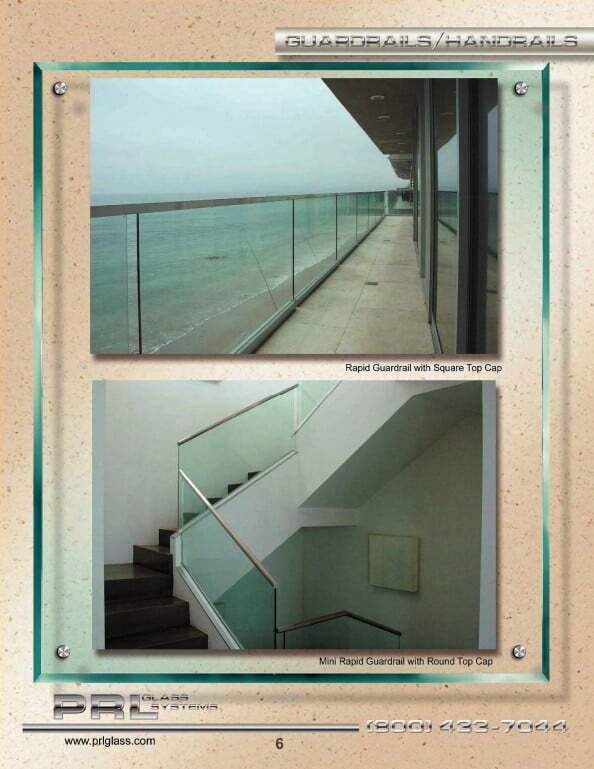 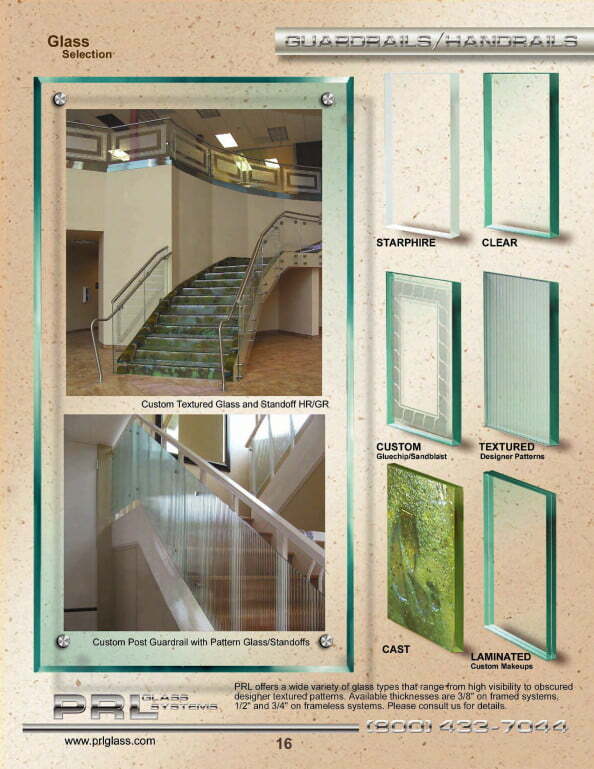 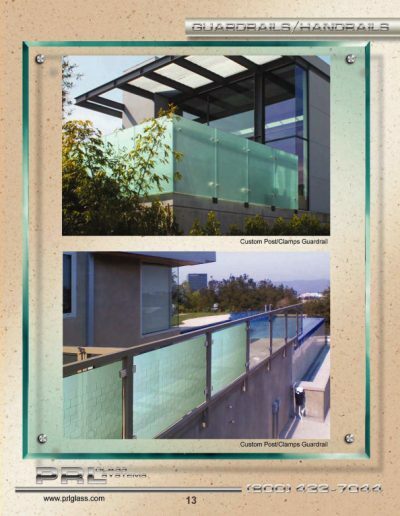 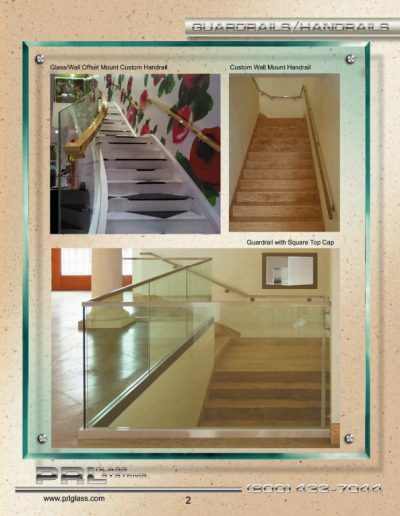 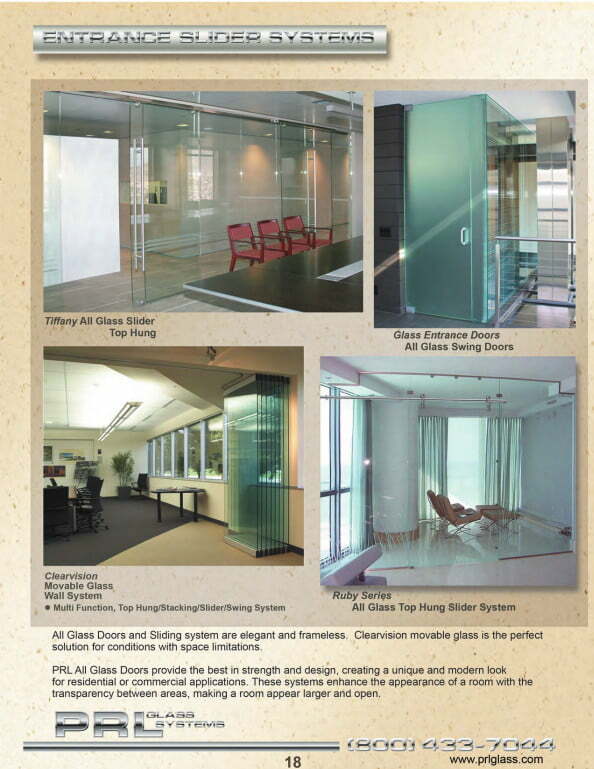 The Elegante All Glass Railing System brings exciting innovation to architectural all glass railing systems. This handrail system is unique due to its frameless features. 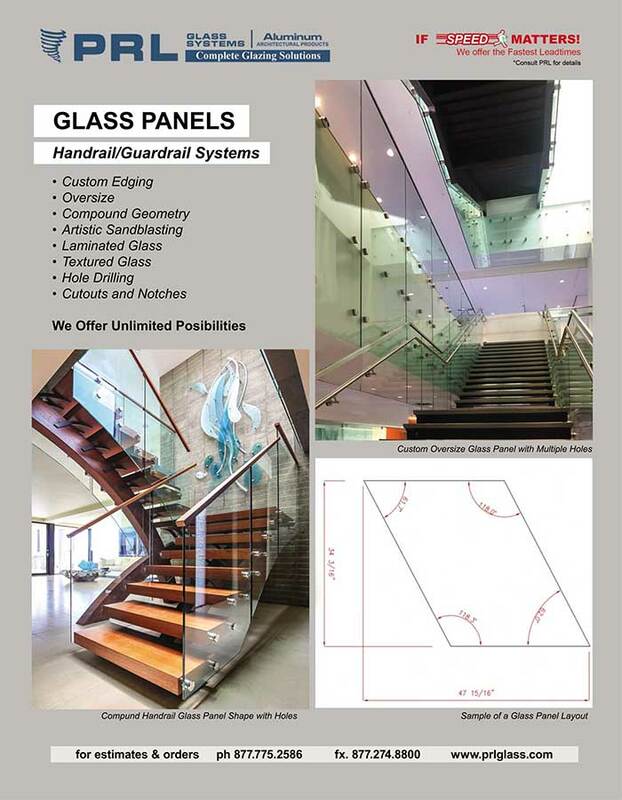 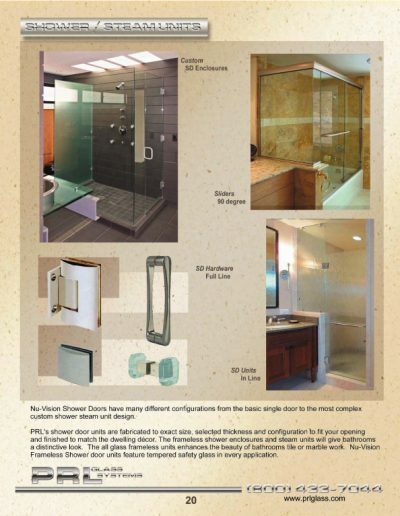 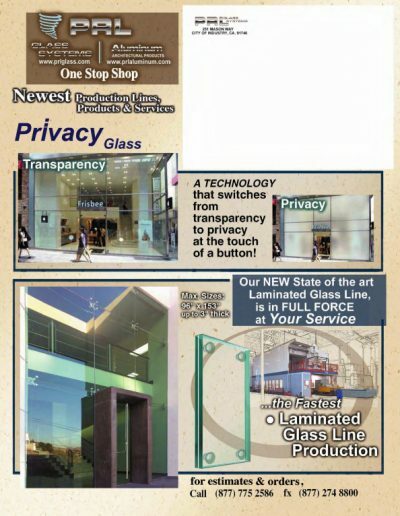 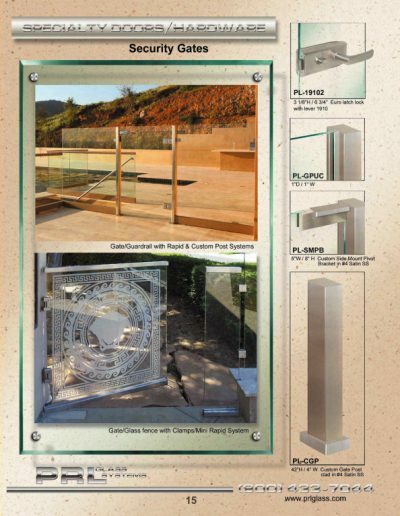 The system uses 1/2″ tempered glass or tempered laminated glass. 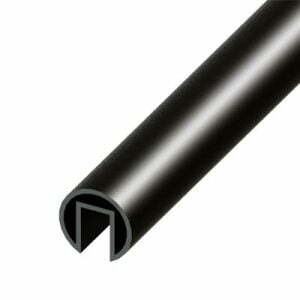 Our 2″ diameter x 1-3/4″ tall standoffs are made from 316 alloy stainless steel. 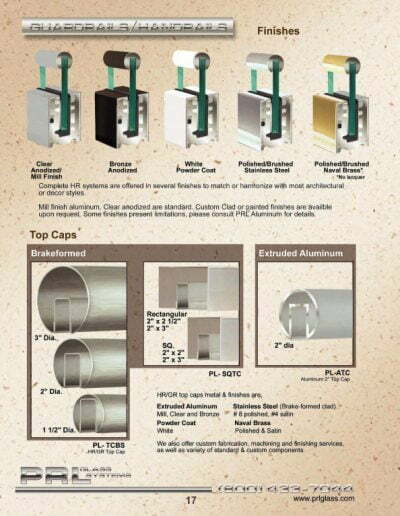 Custom lengths and diameters are available upon request when job conditions require. 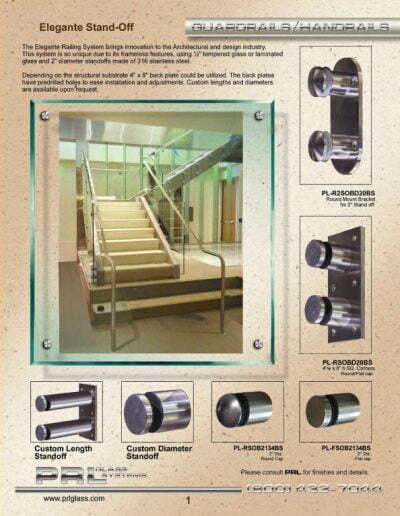 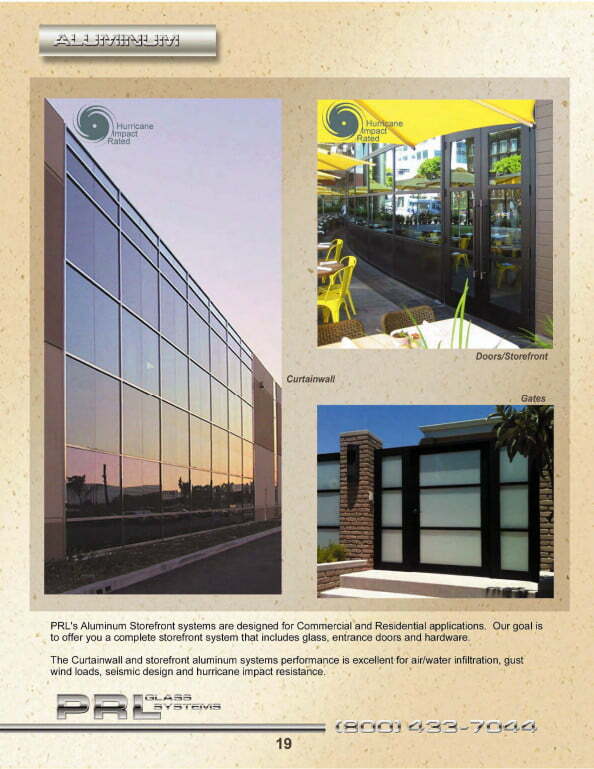 The 4″ x 8″ stainless steel back plate can be utilized depending on the structural substrate condition. 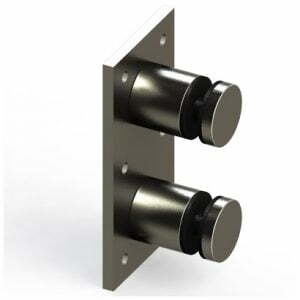 The back plates have predrilled holes which make installation less complicated and allows for more adjust-ability. Consult our all highly experienced staff for special design and engineering. Our team is ready to go work for you. 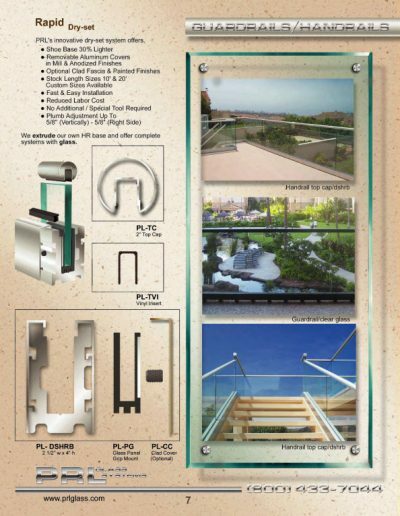 Send us your system requirements and field dimensions and let PRL do the rest! 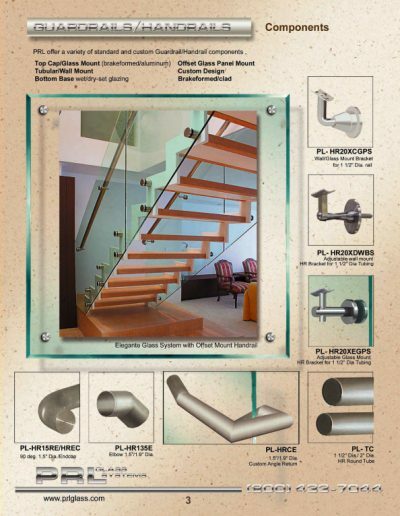 All you have to do is the installation.